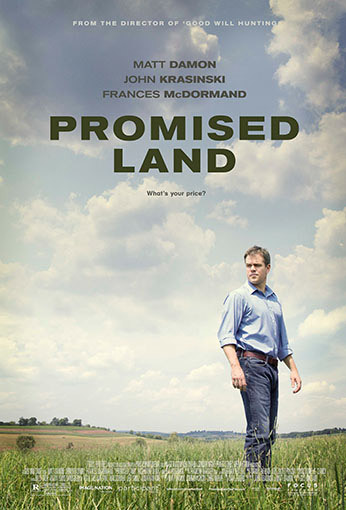 Matt Damon stars as Steve Butler, a corporate salesman who arrives in a rural town with his sales partner, Sue Thomason (Frances McDormand). With the town having been hit hard by the economic decline of recent years, the two outsiders see the local citizens as likely to accept their company’s offer, for drilling rights to their properties, as much-needed relief. What seems like an easy job for the duo becomes complicated by the objection of a respected schoolteacher (Hal Holbrook) with support from a grassroots campaign led by another man (John Krasinski) who counters Steve both personally and professionally.